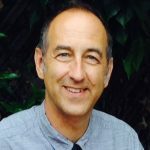 The more humanity relies on data to solve our problems, serve our people, run our systems, and entertain us, the more complex the world’s IT architecture becomes. Every business today is a data driven business, and is taking advantage of a mix of data centers and Cloud. The emerging Data Age means businesses face a phenomenal growth in data sources and data volume that needs to be stored and processed. To tame this complexity, and continue to put data to work, a new infrastructure is evolving — a multi-tier IT 4.0 architecture connecting the Cloud, the Edge, the Internet of Things, and the traditional enterprise data centers. The goal of Seagate’s systems business is to solve the vast growth needs of pubic and private Cloud providers, expanding and diverse needs of the Edge, and specific and customized needs of service providers and traditional data centers. Today, the Seagate Systems engineering team is excited to unveil the new Seagate Exos Systems and Seagate Nytro Systems, which introduce a revolutionary modular approach to building and deploying data center storage systems. The newest member of the Seagate Systems product portfolio, Seagate Exos E 4U106 storage system, is the first in our portfolio to introduce our new modular approach to system design — an innovation that delivers IT architects and data center managers a versatile architecture that’s built to grow. Now you can manage your data growth with efficient, modular products with high capacity points unprecedented in the market today, while delivering ultra-reliable performance, data availability, and growth agility. Last year, Seagate announced its Exos hard drive family representing the highest-capacity devices designed for data centers. Now we’re introducing the highest-capacity, highest-density data center systems. The first of our new Seagate Exos storage systems provides the datasphere’s largest data center building block. By matching Seagate’s industry-leading high-capacity Exos enterprise hard drives with an enclosure that leverages up to 106 devices, it can provide an unprecedented 1.4PB of business intelligence in only 4U of rack space. 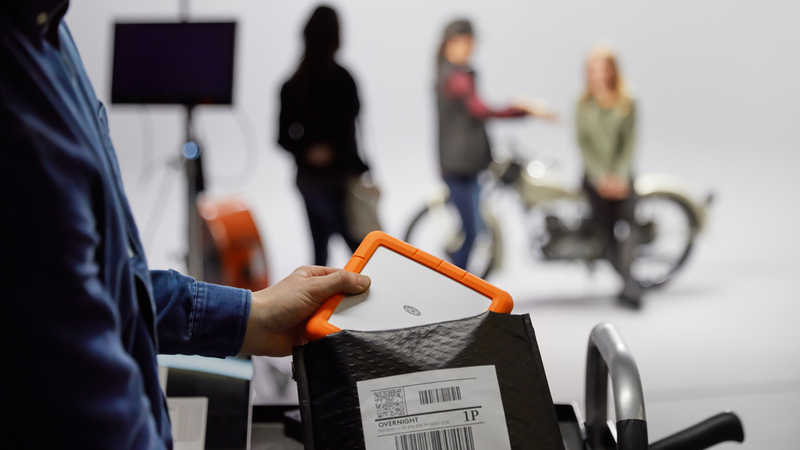 It delivers industry-first capacity and density without sacrificing data access speed. With an overall maximum bandwidth of 36GB/s, you can access business-critical and archival data with lightning speed. This enclosure is suited for high data retention requirements that are expected to grow. Innovative drive placement maximizes airflow and minimizes power consumption, and unique performance, efficiency, and scalability features provide an unprecedented low TCO. This is how you build the Exabyte data center. The system’s new modular, user-focused design minimizes system downtime. Its modularity makes it first-in-class for reliability, easy setup, maintenance, and expansion via hot-swappable expanders and dual data paths, as well as redundant I/O modules, fans, and power supplies. Additionally, this system features toolless drive carriers that allow an administrator to snap drives into the 106 bays in minutes. 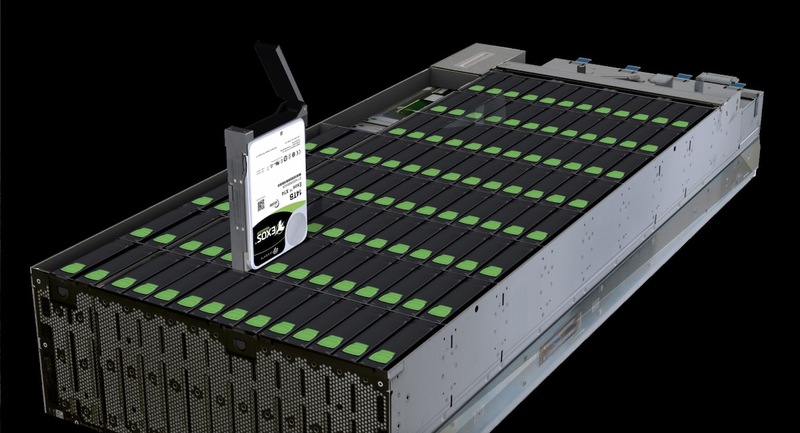 Likewise, Seagate’s next generation Nytro all-flash and flash-intensive systems will offer modular flexibility combining a selection of Seagate Nytro flash drives in enclosures design-optimized to support the datasphere’s highest-performance platform for maximum IOPS at minimum cost. With Seagate’s modular approach to Exos and Nytro System design, all system components — the enclosure, the controller, the firmware, and the drives — are developed by our engineers to work together seamlessly. The design approach is cost-optimized, and also reduces support calls and eliminates technical learning curves. Modular architecture makes components interchangeable between systems, and upgrades are simple due to common FRUs, PCMs, controllers, and software. 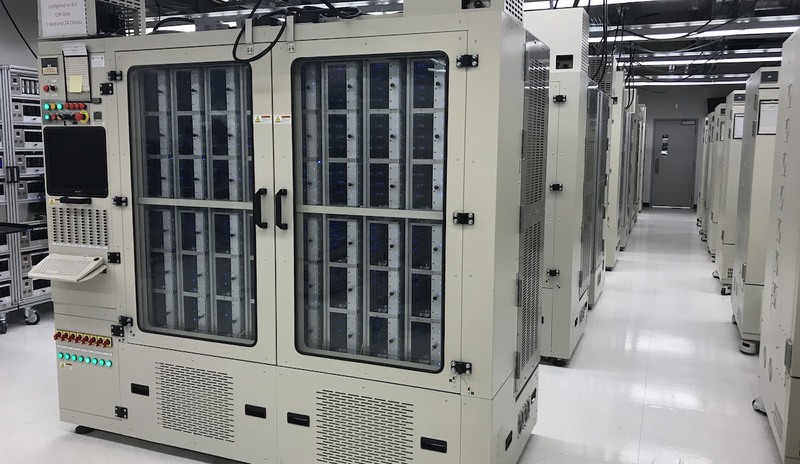 Each flexible enclosure is built to support the ultimate performance provided by the appropriate class of hard drives and SSDs to match customers’ application needs, and includes support and capabilities to manage cables, universal ports, self-configuration controls, and standardized zoning. As a key building block of our modular systems — which make all critical components interchangeable regardless of size or budget — enclosures can be populated with our hard drives and SSDs to provide the right performance at the right price point. 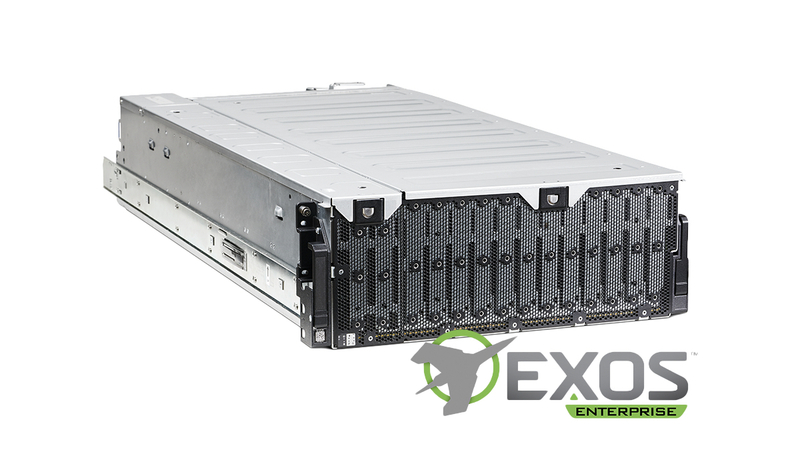 Modularity makes Seagate Exos and Nytro systems easy to set up, maintain, and expand via interchangeable FRUs and hot-swappable components, including the controller. Our customers have been fundamental to our methodical approach designing our new Exos and Nytro systems. We keep users front and center by understanding the challenges they face in maintaining large scale systems. So we’ve drastically simplified the user experience with modular products that have easily replaceable parts, assembly and repair that requires no tools, and built-in resiliency that avoids frequent operator intervention. Simplicity and usability are paramount. 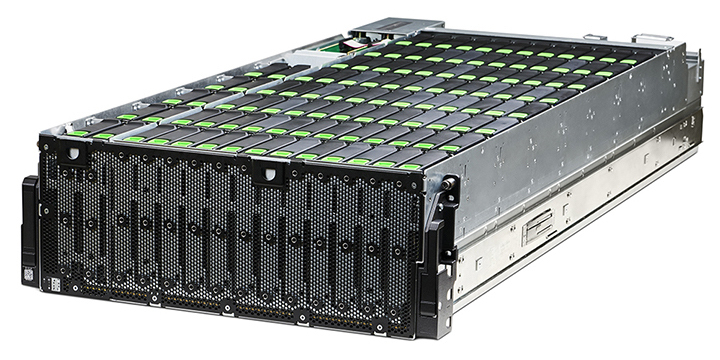 Capacity and Density: Our 4U footprint can deliver 1.4PB of data storage using our Exos 14TB hard drives. This unmatched density allows data centers to economize on space, power, and cooling costs. Performance: Our SAS controllers extract maximum performance from each hard drive to deliver ultra-fast 36 GB/s max SAS throughput. Our innovative Chevron noise attenuator that eliminates acoustic interference to keep all drives consistently functioning at top speed. Agility: Uniquely flexible and modular design can be used as Direct Attached Storage or as a building block for software-defined storage systems. High-capacity footprint allows data centers to scale with ease and makes changes without long build-out processes. Economics: Your costs for acquisition, floor space, power, and cooling are your biggest economic drivers. 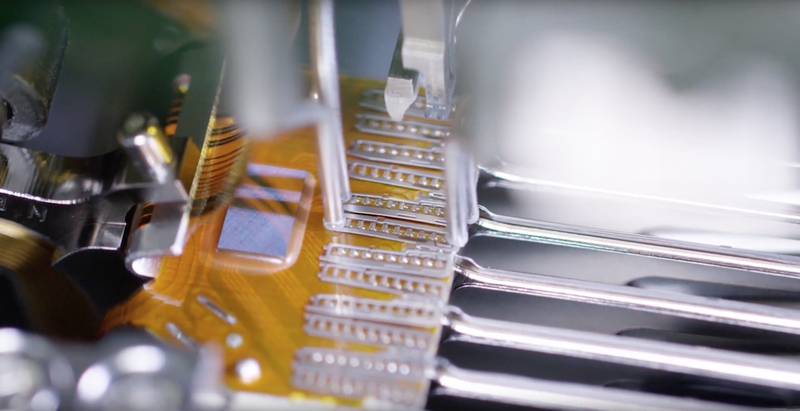 Seagate’s vertical integration from components to enclosures, unique vibration reduction technology, and extensive future-proof R&D help deliver compelling economics at scale. High Availability: From the drives to the enclosure, our tightly integrated and tested components ensure consistent performance and reliability, to meet the always-on availability and serviceability needs of enterprise, cloud and service provider data centers with redundant power supplies, drives spread across four base-planes, and dual data paths. 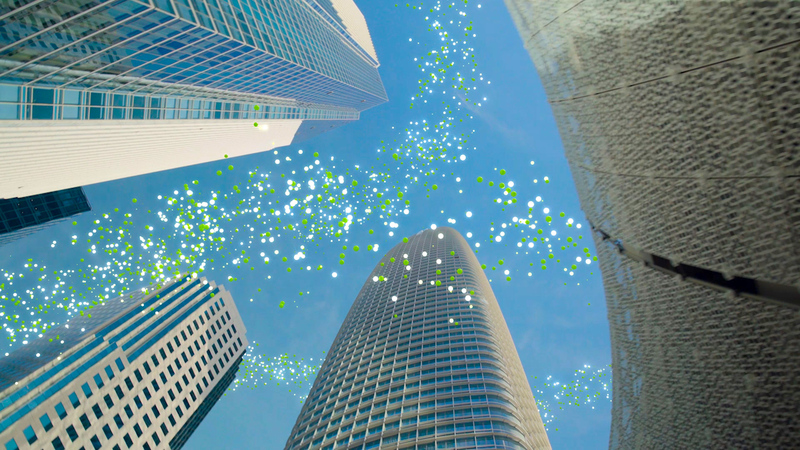 A new approach to enterprise storage systems, Seagate’s new high-density modular architecture provides data centers with limitless scalability, unfettered access to data, and unparalleled economics.